A minute's applause will precede Scotland's friendly against England on Tuesday in tribute to the Scotland fan who died following their victory over the Republic of Ireland on Friday. 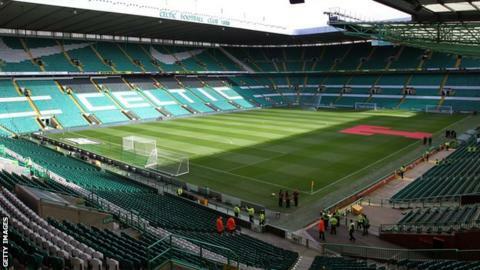 Nathan McSeveney, 20, died when he fell in a Celtic Park stairwell. Scottish Football Association chief executive Stewart Regan said: "We have all been extremely saddened. "It is fitting that Scotland supporters have an opportunity to pay tribute to one of their own at Celtic Park." The tribute was announced after consultation with McSeveney's family, from Cumnock in Ayrshire. A crowd of 55,000 saw Scotland win Friday's Euro 2016 qualifying match 1-0 thanks to a Shaun Maloney goal.